A father’s love for his daughter is unconditional. Thus, for all that, your father does uncomplainingly for you a mere thank you is not enough each time. So, send Father's day gifts from daughter from FlowerAura via same day delivery and appreciate his selfless efforts for making your life better. One of the three ancient Greek tragedians, Euripides said, “To a father growing old, nothing is dearer than a daughter." Truly, the bond between fathers and daughters is so special and inexplicable. To honor and appreciate his selfless efforts and to acknowledge his role of fatherhood, Father’s Day comes every year where each one of us is reminded of how great and selfless a father is. This is the time to show your gratitude and care for your father by doing something special for him on Father’s Day. FlowerAura offers you some of the fabulous father’s day gift ideas from daughter that will help you express your heartfelt love for him. Whether they are personalized Father’s day gifts from daughter or anything in particular shopped online, FlowerAura will help you in picking a perfect gift for your dad that he will definitely adore. To add a personal touch to your gift, you can buy our personalized photo frames, key chains, ‘best dad in the world’ mug etc. In fact, we have a wide variety of unique and unusual gifts for dads of all ages, first-time fathers or dad, grandpa etc. Well, our wide collection of Father’s Day presents from daughter would not only touch your dad’s heart but would also make him feel loved and valued. Looking for the best Father’s Day gifts from daughter? Count on FlowerAura for all your gifting needs on Father’s Day. From chocolates to cushions, photo frames to classic mugs, aromatic flowers to a delicious assortment of cakes, our Father’s Day gift ideas have it all that can put a million dollar smile on your father’s face. 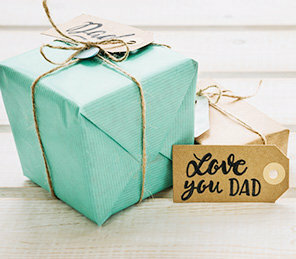 FlowerAura offers you a popular collection of gifts which consist of Awesome Dad Hamper, Sweet Daddy Gesture, Super Hero Dad Combo, Daddy My Inspiration, Daddy Cool and other father’s day gifts from daughter that are designed with love and your father is sure to cherish it for a long time to come. Thus, Father’s Day is a special day which gives you a great opportunity to tell your father that you admire him the most with a token of appreciation from FlowerAura. No matter which part of the country your father resides in, FlowerAura has the strong delivery network across 150+ cities to make your delivery prompt and hassle-free. If you live in another city, do not miss the chance to make your father feel special by sending Father’s Day cards from daughter and other awesome father’s day gifts via our express delivery. Yes, now you can send gifts for dad from daughter on Father’s Day and impress your dad even at the last minute. Well, you do not have to worry about the delivery time because we always ensure same day delivery of gifts to our customers. All you need to do is to order a Father’s Day gift from daughter online from FlowerAura comfortably seated at your home or office. In fact, you can also avail a next-day delivery in case you are not comfortable with same day delivery.To make your online shopping experience an interesting one, we also ensure you midnight delivery which means that now you can surprise your dad by sending him a gift at midnight on Father’s Day. So, to enjoy free shipping, shop Father’s Day gifts from daughter from FlowerAura and convey your message in a meaningful way. So, on Father’s Day, pay your utmost respect and give him all the love that he deserves.